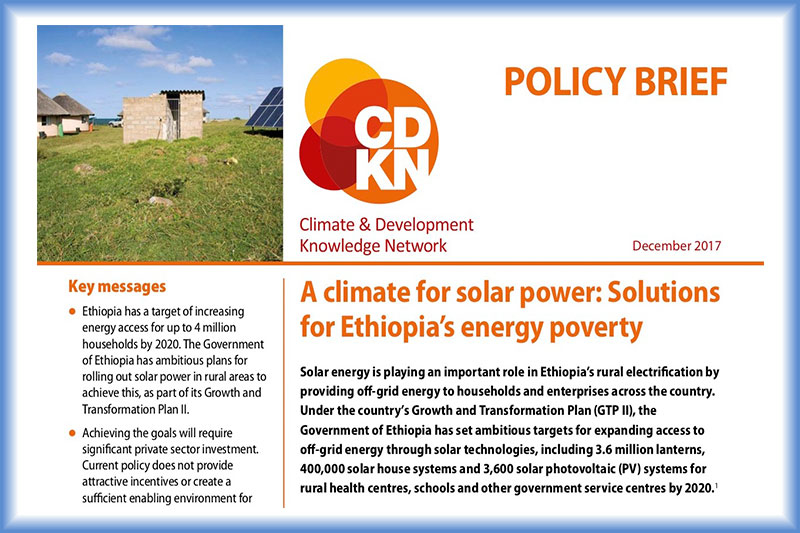 This policy brief from CDKN explores the landscape for solar power in Ethiopia, especially the role it can play in Ethiopia’s rural electrification by providing off-grid energy to households and enterprises across the country. 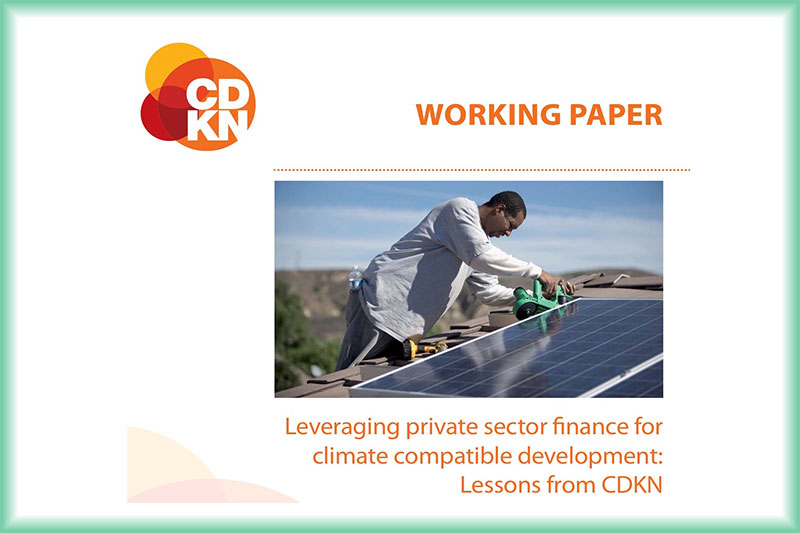 This CDKN working paper, written by SSN's Charlotte Ellis and Kamleshan Pillay, asks how governments, international programmes and other stakeholders can create an enabling environment for private investment in climate action. 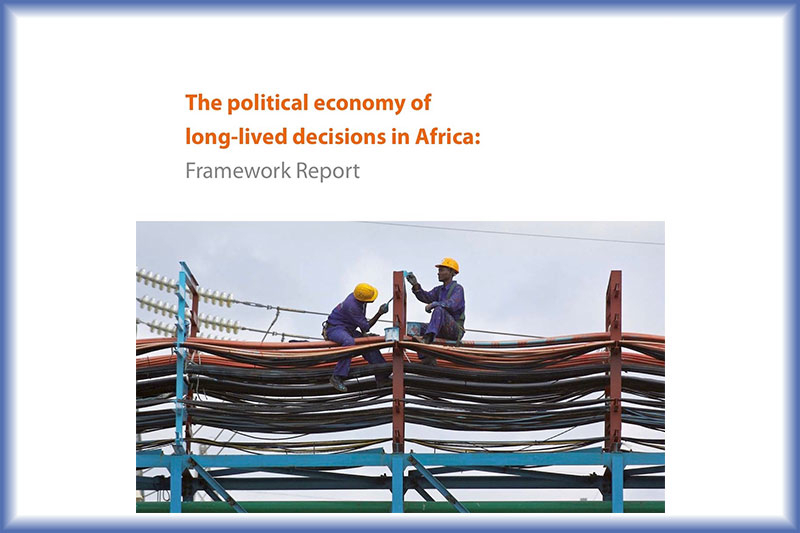 This framework report was commissioned by FCFA to help the Research Consortia and other stakeholders understand the complex nature of economic decision-making on the continent so as to identify opportunities to influence these long-lived decisions in Africa. 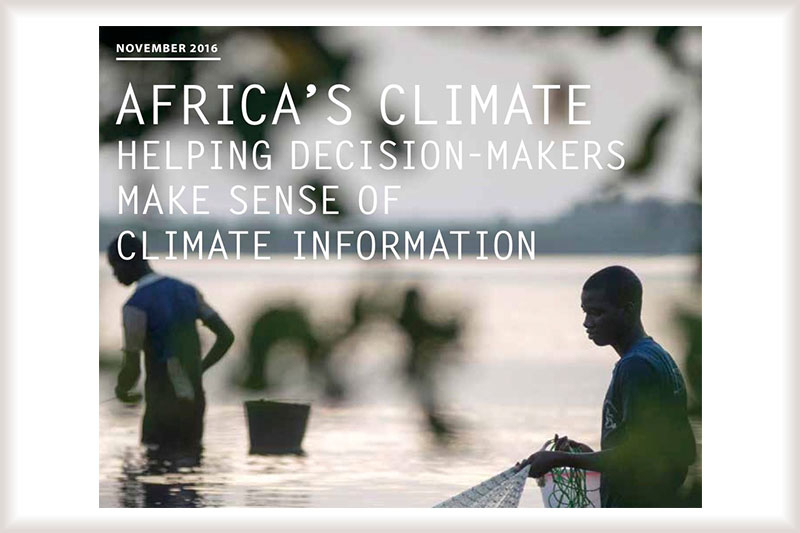 This flagship report from Future Climate for Africa is designed as a guide for scientists, policy-makers, and practitioners on the continent to integrate the latest climate information into policy and decision-making.